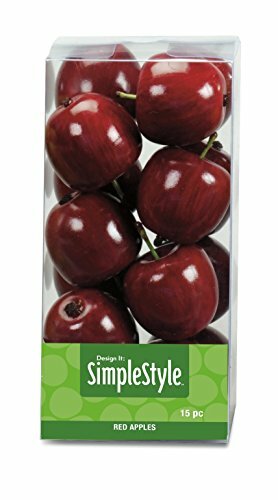 The FloraCraft simplestyle 15-piece mini-red apples are beautifully shaped for a natural look. Deep red with a shiny skin, these apples are begging to be displayed. These are packed in acetate box. If you have any questions about this product by FloraCraft, contact us by completing and submitting the form below. If you are looking for a specif part number, please include it with your message.